About Richard Kemp | But what does Richard Kemp think? He has been a member of Liverpool City Council for 30 years having held major portfolios in both control and opposition. He is Leader of the Liberal Democrats on the Council. He is the Deputy Chair of the European & International Board at the LGA responsible for the work of representing all UK councils in Europe and in a range of aid activities. He is the UK rep on the Executive Bureau and World Council of United Cities and Local Government (the World LGA) where he is currently advising on governance issues in Africa. He has a real interest in housing which he pursues as Chair of plus dane a housing group proving 15,000 units of social accommodation in the North West. He is also a member of the advisory board of Inside Housing. 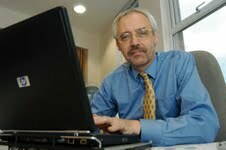 He is an adviser on localism & local government to the Post Office and other private sector companies. I’ve just read your blog piece on housing and am interested in your comments regarding housing in Liverpool. Specifically, I am writing an article for the MJ about the government’s empty homes policy and how it could potentially benefit councils such as Liverpool, Manchester and Bradford, where the number of empty properties is high. I wondered, especially as a Liverpool councillor, what your opinion of the policy was, and if it will make any difference to local authorities now HMRI pathfinder cash has gone? “About Richard Kemp | But what does Richard Kemp think? I have just heard your comments on LBC, I really could not believe that a proffessional person with your background could have such a ridiculous opionion. My work with the humanitarian sector has seen first hand the war crimes being committed there. I had to laugh at your suggestion about you wanting fat pupils in schools to have their own Physical Education lessons, because having to do PE lessons with thin pupils might make them feel bad. Mr Kemp, until this country rids ourselves of PC liberal types like you, we will never ever get back to the Great Britain we used to be. You and your ilk have been shoving PC down all our throats for long enough, so give it a rest. Please do something better with the position you hold in local government, and don’t come out with such pathetic ideas. Oh, am I allowed to say fat and thin, or is that not PC? !